The Customs Trade Union Alliance (CTUA) states it would engage in a ‘work to rule’ trade union action from today (19th) until the proposed new Customs Ordinance is withdrawn as authorities have failed to state for what purpose the new ordinance is introduced. The Secretary of the Customs Commissioners’ Union Uditha Jayasinghe states a 24 hour ‘sick leave’ campaign was held on the 15th demanding authorities to withdraw the bill. He said authorities did not even respond to the trade union action carried out on the 15th. Hence authorities should state why the existing act is amended and why a new bill is introduced. Mr. Uditha Jayasinghe said authorities did not even hold a discussion with trade unions regarding the issue and the service of members of their unions would be limited to 8 hours a day from today onward as a protest for the decision taken by the authorities. He said the members would refrain from engaging in overtime work during this period. The policies followed by the two main political parties have been responsible for creating a large number of crises in the country says the Leader of the JVP Anura Dissanayaka. He made this obsesrvation at a seminar held in Jaffna yesterday (17th) under the theme ‘The future of the country & the task of the left’.If the youths have to leave the country and as a result the economy of the people gets ruined and if people do not get a good health service, it means the past governments or the existing one have not worked for the people said Mr. Anura Dissanayaka. The Member of the Central Committee of the JVP Ramalingam Chandrasekar also addressed the gathering. The trade union action begun on the 7th by the trade unions of Labour Officers of the Department of Labour still continues and the JVP has taken measures to request for an adjournment debate in Parliament on the 20th regarding the issues of Labour Officers that have made them take trade union action. Their demand is to restructure Labour Commissioners’ offices to meet services for the people and compiling a constitution that would enhance their services. However, the government has not paid any attention to their trade union action complain trade unions. Meanwhile, a group of labour officers engaged in the trade union action met the Leader of the JVP Anura Dissanayaka to discuss about their issue. The President of National Trade Union Center (NTUC) JVP Political Bureau Member K,D. Lal Kantha has been apprised regarding the issues of Labour Officers and a discussion regarding the issue had been held between JVP Leader Anura Dissanayaka and its Information Secretary Vijitha Herath as well. As such, it has been decided to ask for an adjournment debate in Parliament in connection with the issue. Mr. Vijitha Herath would take steps to ask for the adjournment debate. It is reported that former JMO of Kalubowila Hospital Dr. Sunil Kumara who issued the for the postmortem report of Lasantha Wickremetunga’s murder serves as a senior lecturer at SAITM private medical school at Malabe. When the case was heard the CID stated in Court that according to evidence regarding the murder the postmortem report issued by then JMO at Colombo South Hospital Dr. Sunil Kumara is questionable and there are many points that are contradictory. In the postmortem report issued by Dr. Sunil Kumara states thee were gun shot injuries but Prof. Mohan Silva who performed the surgery on Lasantha Wickremetunga before he died had noted that there were no gun shot injuries. Also, the Government Analyst’s report states there were no gun shot injuries in Wickremetunga’s body. Accordingly, the CID requested permission from the Court to exhume Lasantha Wickremetunga’s body as there is a contradiction between the report issued by Dr. Sunil Kumara and reports issued by other doctors. The vice-chancellor of SAITM private medical school at Malabe is Dr. Ananda Samarasekera who is accused of issuing a false report to conceal the murder of popular rugby player Wasim Thajudeen and misplacing certain skeletal remains of Thajudeen’s body. Meanwhile, the application filed by the vice-chancellor of SAITM Ananda Samarasekera seeking anticipatory bail stating he would be arrested by the CID in connection with the disappearance of skeletal parts of Thajudeen’s body was rejected and there is no obstacle to arrest him for concealing evidence of a murder. 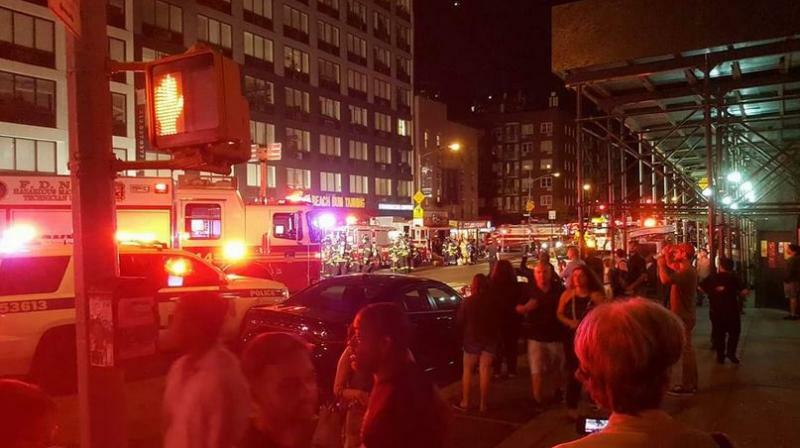 At least 29 people were injured in an explosion in Manhattan’s Chelsea neighbourhood today (18th) morning (Sri Lanka time) states international media. . None of the injuries were considered life-threatening, according to fire officials. The blast had occurred around on 23rd Street between 6th and 7th avenues. It was not immediately clear what caused the explosion. 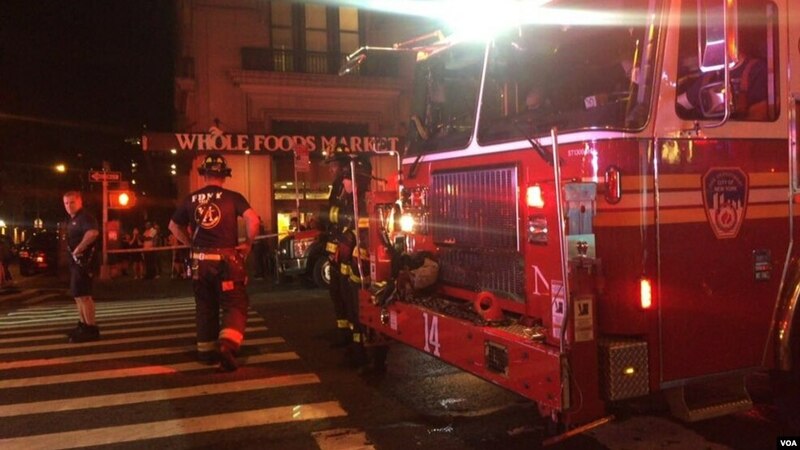 A device believed to be a pressure cooker has been found on West 27th Street, four blocks from the initial blast on West 23rd, and is under investigation. Earlier a bomb exploded in Seaside Park, New Jersey shortly before thousands of runners were to participate in a charity race there. No injuries were reported. Chelsea is among the most fashionable districts of Manhattan and its bars and restaurants are usually crowded at the weekend. Many state leaders are visiting New York to attend the 71st session of the UN General Assembly. President Maithripala Sirisena left a short while ago to attend the UN session. It is reported that the JVP is preparing to bring up several proposals to the proposed constitution that would devolve power to small units taking into consideration population composition and geographical factor. The Information Secretary of the JVP speaking to a weekend newspaper had revealed this and the Member of the Political Bureau of the JVP K.D. Lal Kantha had spoken regarding this to the media. Mr. Herath said the party had made several proposals as an approach for the solution of the national question and added that proposals that are based on population composition and geographical factor should be included in the new Constitution. He said measures have been taken to present their proposals to the Constitutional Council in Parliament. The government is planning to privatize Ceylon Electricity Board on pretext of restructuring it states the Collective of Trade Unions against privatizing Port, Petroleum and Electricity. This was told at a press conference held at the Centre for Society and Religion, Maradana on Thursday (15th). The convener of the Collective Ranjan Jayalal said the government is planning to separate the CEB into 6 separate sections and carry out the privatization scheme. He said if the so-called restructuring plan is implemented consumers would have to face regular power cuts. A coal powered power station would not be built at Sampur as was informed by the Attorney General to the Chief Justice but another power station would be commissioned there says the Minister of Power and Renewable Energy Ranjith Siyambalapitiya. The Minister said this at a press conference held at the Ministry yesterday (15th). All those residents of Sampur, journalists, organizations and political parties that supported the struggle against Sampur coal power station should be honoured and admired says the Member of the Political Bureau of the JVP K.D. Lal Kantha. He said this speaking at a press conference organized by the ‘Eastern People’s Voice’ and held in Trincomalee today (16th) to respond to the government’s statement to Court that Sampur coal power station would not be constructed. The convener of ‘Eastern People’s Voice’ Arun Hemachandra, members Marimuththu Ganeshan and Thyagarasa Dineshkan also participated. Speaking further Mr. Lal Kantha said, “The government ahs stated in Court that Sampur coal power station would not be built. We are really happy about it. For, on one hand people in Sampur and the media carried on a continuous struggle against building eh power station. The media, considering it as their responsible task joined people at Sampur to carry out a massive ideological campaign against the power station. The ‘Eastern People’s Voice’ too carried out a massive struggle complaining to the Human Rights Commission, poster campaigns and agitations. Certain political parties joined the struggle at different levels. However, the victory is the result of the continuous struggle carried out jointly by the people living at Sampur and the media to prevent the harm the move would have on the country and the people. We honour and admire all those residents of Sampur, journalists, organizations and political parties that supported the struggle against Sampur coal power station. We also thank and admire the organization that took the issue to the Supreme Court and carried out the necessary mediation to get the directive. However, 505 acres of people’s lands in Sampur have been acquired for the power station project. Earlier there was a plan to have an industrial estate here. The government has not made any statement regarding the 505 acres acquired from the people. Some of these lands were used by the people in the area as pasture lands for their livestock. There are 12 tanks within this area of 505 acres. They are in a state of disrepair and deterioration. People in Sampur used the water in the tanks for their cultivations. The government has not told its stand about these tanks and the lands. Also, there is information that an attempt was made to erect a power station with India in this area. Hence, the government has a responsibility to raise the standard of people’s lives in the area without stopping at a mere statement that the power station would not be built. The government should explain how it is going to raise the standard of lives of the people who suffered due to the attempt to build the power station. The government, the District Secretary, Divisional Secretaries, Grama Sevakas have a responsibility of making the people aware of the programme that would be implemented for the people who lost their lands. For, we still do not see any road map for the situation. Even the likes of Mr. Sambanthan did not protest the building of a power station here. They wanted lands from another area for the people. They didn’t take into account the environmental issues. They never thought about the affects of Northeast Monsoon. Now they are claiming they too struggled against the power station. They did not do anything. It was the people in Sampur who carried on a continuous struggle. What is needed now is land for the people, restoration of tanks, facilities for animal farming and a programme to raise the standard of living of the people in the area. A structure that includes relevant officials, Department of Lands, Divisional Secretaries, District Secretary, District Parliamentarians and people’s representatives should be established to take decisions and implement them.